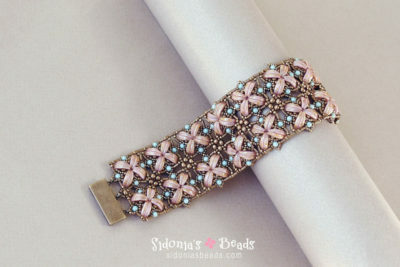 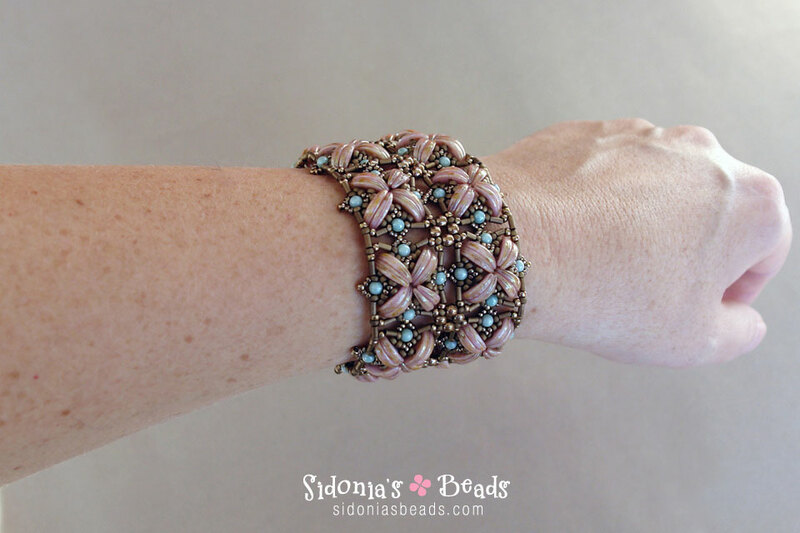 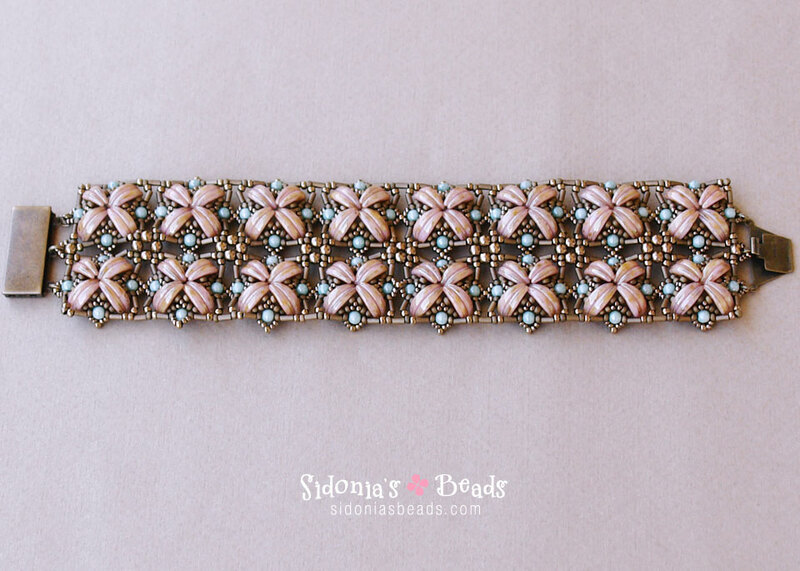 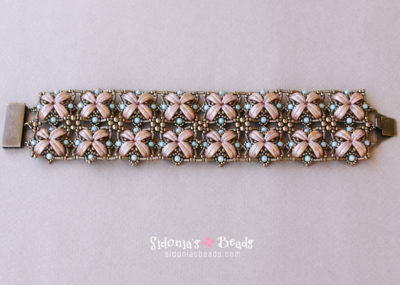 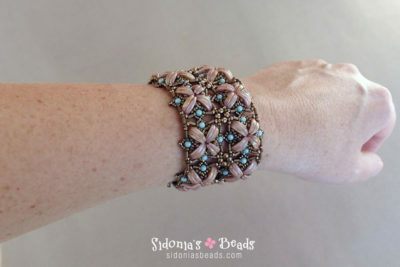 This step by step tutorial is suitable for intermediate beaders and on. 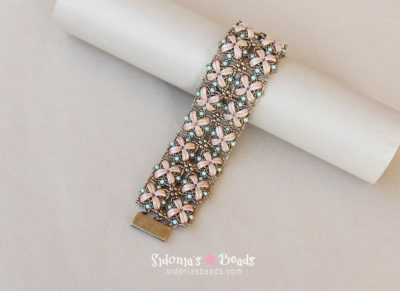 Instructions are clear and easy to follow, with diagrams for each step. 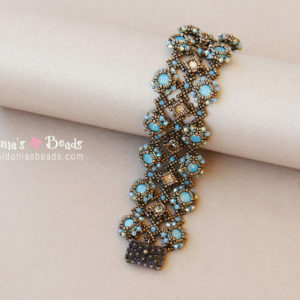 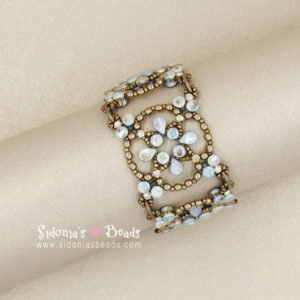 Total lenght of bracelet is 6.5 inches (ca 16,6 cm) long, without the clasp.